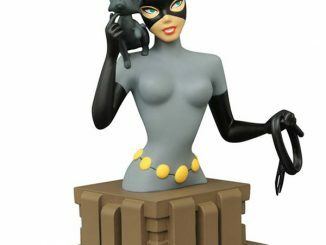 Fans of the classic Batman television show will purr with delight when they see this Batman 1966 TV Series Catwoman Mini-Bust. 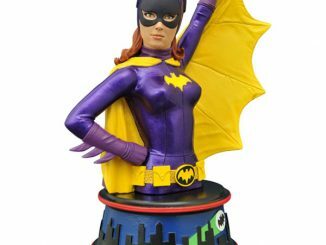 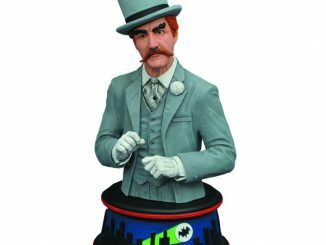 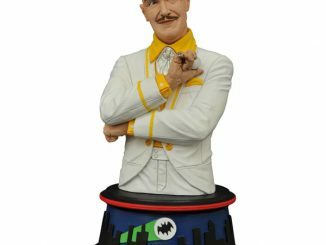 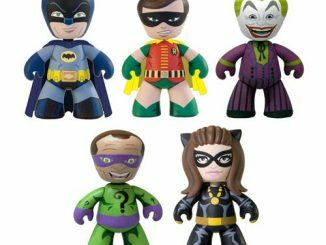 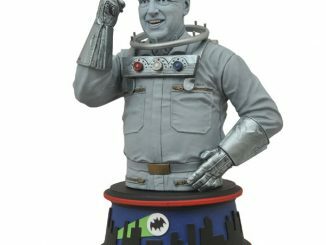 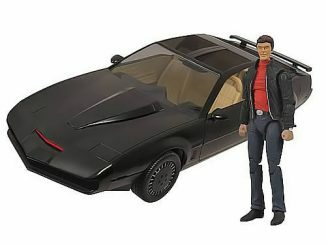 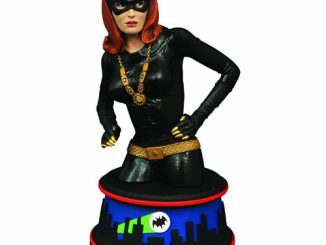 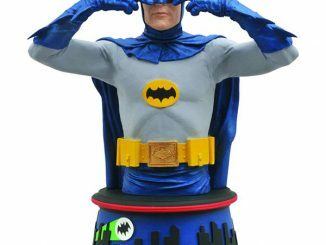 If you loved Adam West’s campy version of the Caped Crusader, you probably already have the Catwoman mini-bust featuring Julie Newmar, but that only gets you through Seasons 1 and 2. 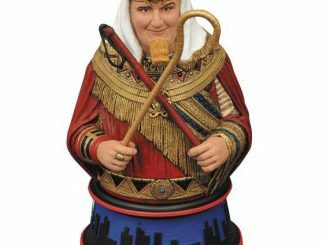 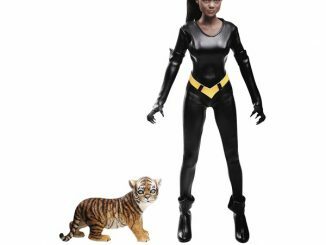 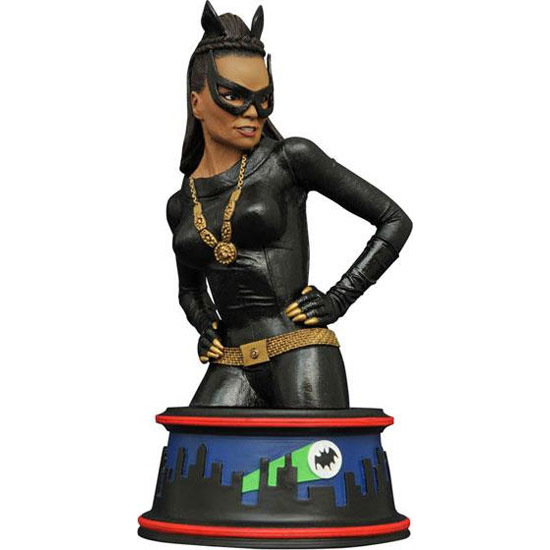 However, to celebrate the Dynamic Duo’s third and (sadly) final season, you’ll need this 6-inch-tall resin bust of Eartha Kitt as Gotham City’s feline femme fatale. 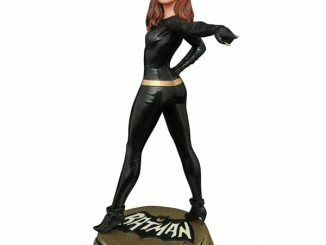 The Batman 1966 TV Series Catwoman Mini-Bust will be available July 2017 but it can be pre-ordered now for $49.99 at Entertainment Earth.